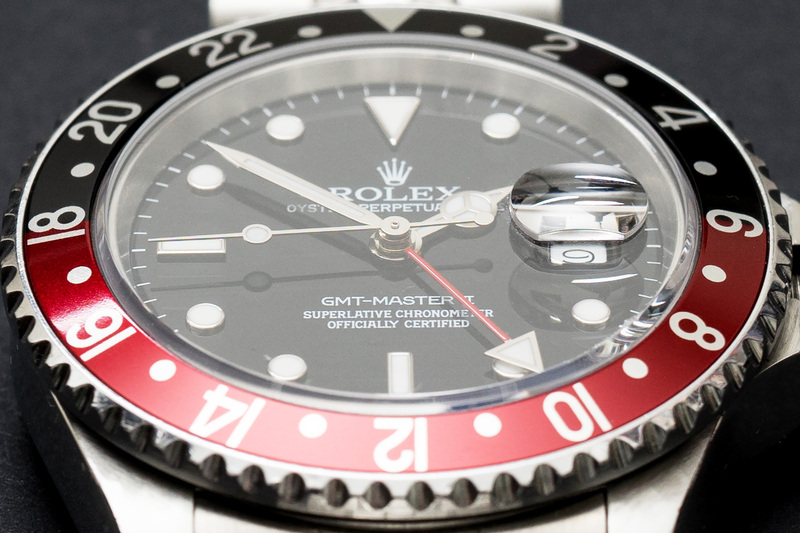 Beautiful and stunning Rolex GMT-Master 16760 aka Fat Lady! 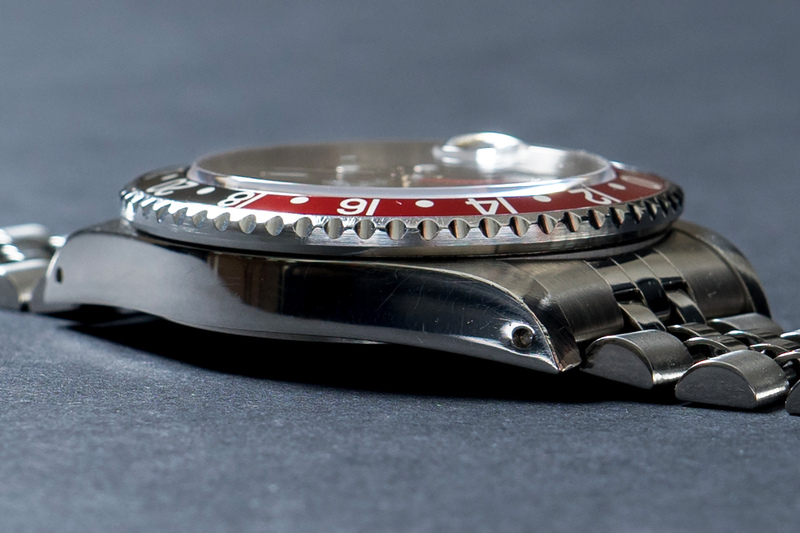 As you can see this 1987 GMT is in an excellent condition! 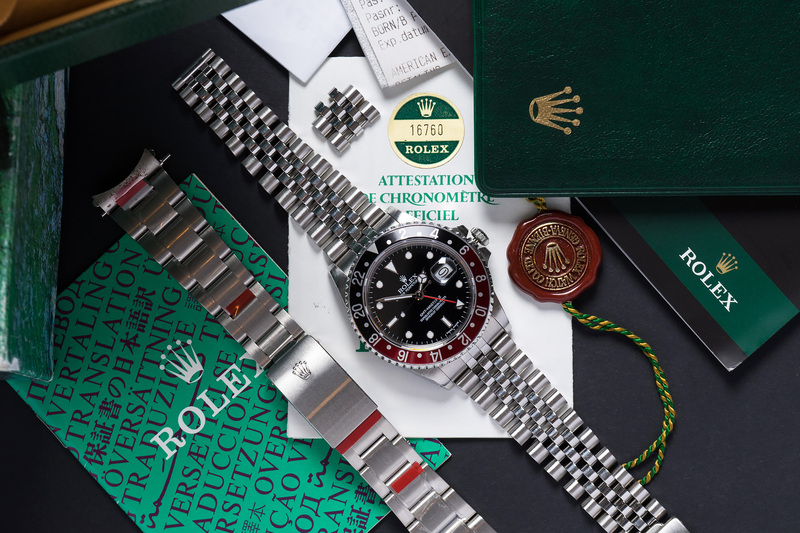 The watch is accompanied by all its original boxes, paperworks, hangtags, booklets etc. 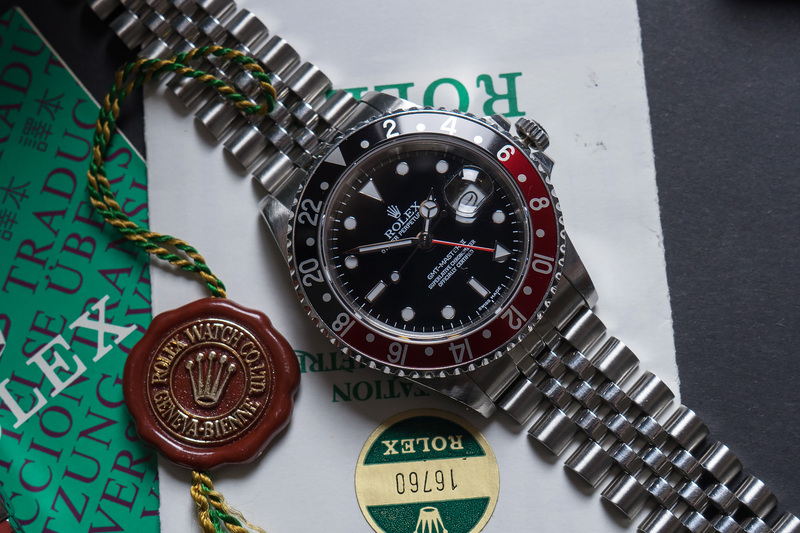 Apart from all the original goodies, this 16760 also comes with booklet and warranty card from the Rolex Service Center. Another wonderful extra with this allready super full set, is the sealed and NOS 78360 Oyster bracelet. This bracelet is truly a dream! 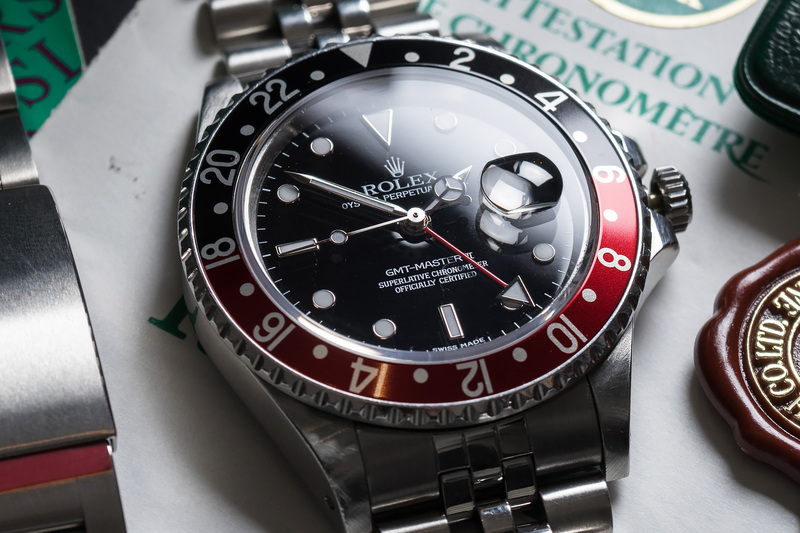 its squeeky clean without any scratches or marks on it and still sealed by the Rolex factory stickers! 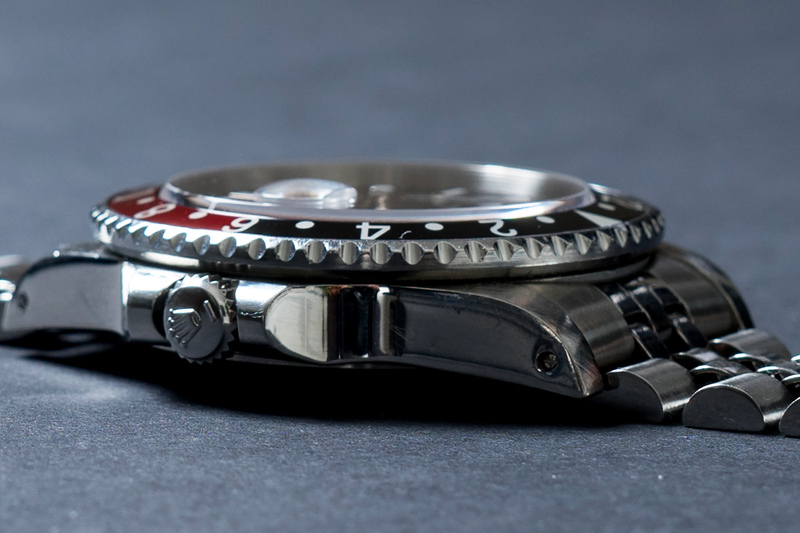 This GMT-Master was fully serviced by our watchmakers and will be available with a 12 month warranty.